Hi, we’re Alice and Holly and we recently made a short film together with support from the And Now What? Film Fund. The film is called I’m a Man. 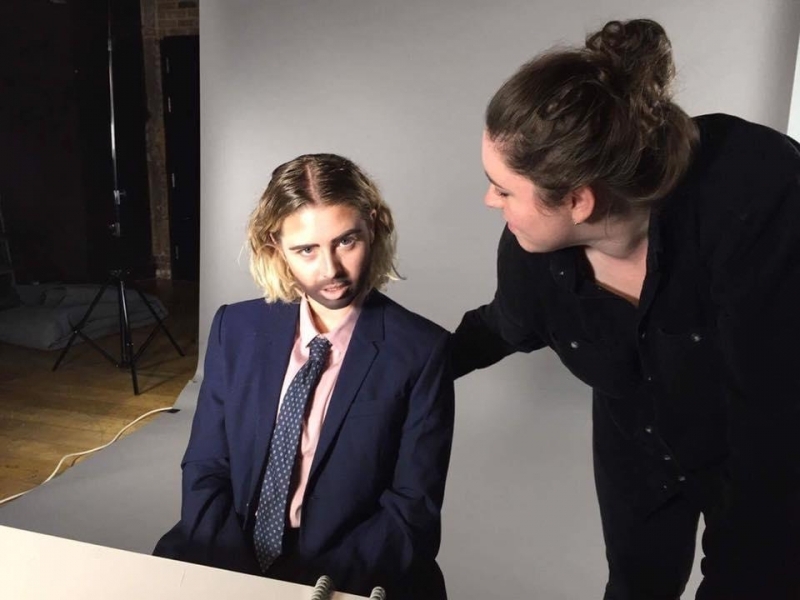 It’s a film parodying toxic masculinity, featuring members of London Drag King collective Pecs doing a lip sync performance to a track by Lindsay Hunter and Pissed Jeans. Listed below are 10 practical tips we learned while making the film, which you might find useful too. We are not experts or gurus and we are definitely still learning, so feel free to take or leave our advice as you see fit. Co-directing gives you the opportunity to collaborate, work through ideas and make joint decisions from a place of support and equality. Practice safe co-direction. Do it with someone you respect and trust. Filmmaking is a notoriously male industry. It doesn’t have to be this way. Our entire film cast and crew featured only one cisgender man (Hi Bart!). 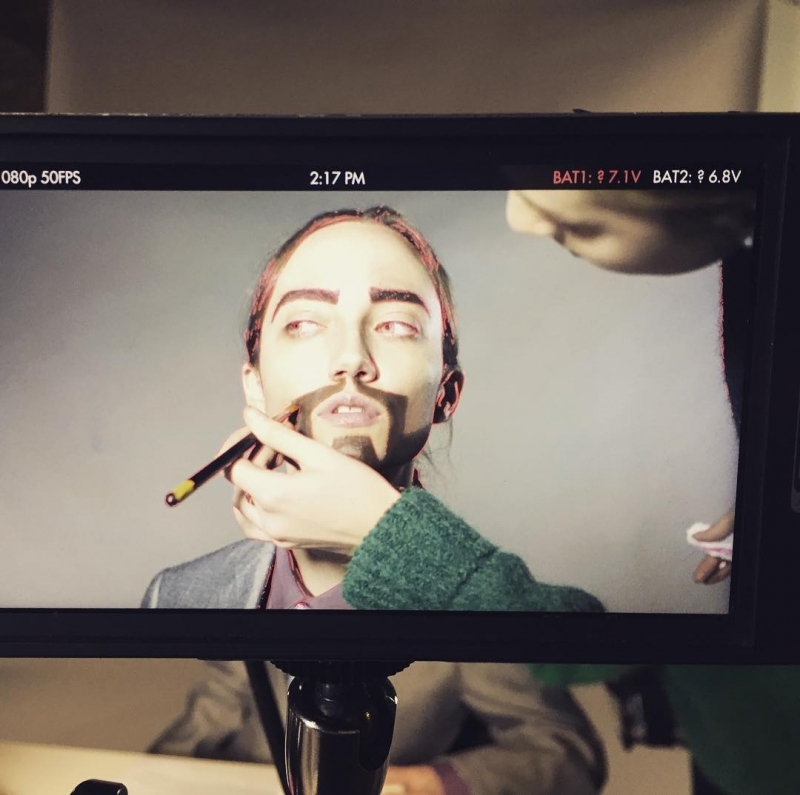 Everyone else was a woman, non-binary or performing as a Drag King. It was a refreshing and empowering experience. Go ahead and create your own feminist filmmaking utopia – it yields excellent results. Our cheerleader was also our second camera operator Julia, however we now believe this should be a standard, distinct role on every film set. Give it a go. Bring someone on your set just to tell everyone how great they are and what an excellent job they’re doing. It will improve everyone’s morale and performance. Plan to do less stuff. Less than you think is the absolute minimum. Be ruthless in keeping only the essentials. Prioritise. It will be less stressful, you’ll be able to plan more thoroughly, you will make fewer mistakes and you will get better results if you are realistic about your time, energy, budget and resources. Keep props, costume, film kit and different set ups to a minimum. We didn’t need half of the stuff we brought with us on set and we ended up cutting out a lot of our shot list. Learn from our errors, streamline your production and make it as easy as possible for yourself. Good catering = happy crew = better film. A happy well-fed crew is more valuable than a fancy bit of filming kit. Prioritise putting budget towards feeding people, ask about everyone’s dietary requirements in advance and make sure everyone is well catered for. Enlist a friend to cook or ask local restaurants for catering deals and discounts (Shout out to Camden Mildreds!). The internet is full of talented people who want to collaborate on projects. Don’t be afraid to join relevant groups and ask for help. We found our runners Mairin and Pracheta, our makeup artist Mattie and our colourist Natasha online. 7. Risk assessment forms are not unnecessary pieces of bureaucracy. Make health and safety a priority. One unfinished risk assessment form, a fire extinguisher incident and a studio evacuation later, we now know this to be true. Thankfully, nobody was seriously hurt but people were seriously inconvenienced. We were very lucky nothing worse happened. Don’t rely on luck. Things will go wrong. You need to anticipate them going wrong. Your film is not worth endangering anyone’s safety over. Asses the risks! We stayed up really late planning our inflated shot list. This was not a good call. Sleep is important. You will work better and more safely if you are well rested. Go to bed. Follow your urges. Some of our shots did not follow any strict story or logic. Know that sometimes the primal desire to film a creme caramel smashing on some ugly lino floor tiles can lead to interesting visual results. Get a talented editor to help you mould your flights of fancy into a semi-coherent end product. Our editor Giorgia was a master at finding a method in our madness. 10. Apply to the Last Word Film Fund! The Roundhouse employs some of the loveliest, most open-minded and most supportive professionals on earth. 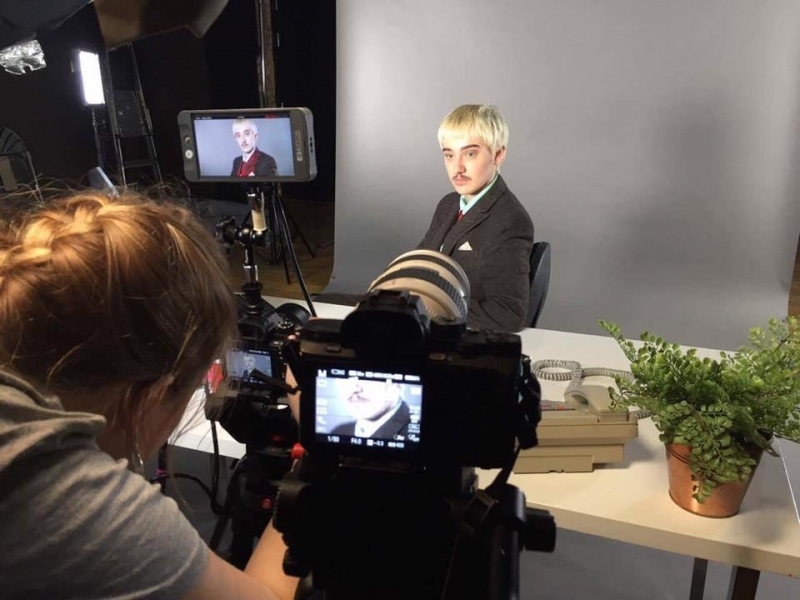 Through the film fund, we were provided with financial support, technical support, emotional support (primarily from Claudia Lee and Nandita Lovage), mentoring from director Georgi Banks Davies, as well as an all important kick up the backside to finish making a film. If you have a short film idea, you should apply! The And Now What Film Fund is made possible by the support of the Ex Animo Foundation.